The Emperor is dead. Long live the Empire. A brand new trailer highlighting the single-player story of Star Wars™ Battlefront™ II has arrived. 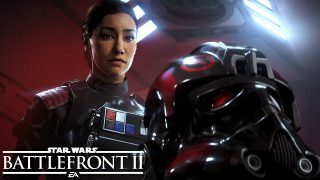 With the Emperor dead, can Commander Iden Versio and her allies turn the tide against an energized Rebellion? The new single player campaign in Star Wars Battlefront II is an original story set after the events of Star Wars: Return of the Jedi™. It's no secret that Iden Versio and Inferno Squad will be crossing paths with some of the galaxy's most renowned characters, but they'll also be encountering elements that are originally from other Star Wars stories. There are multiple mediums, comics, novels, television, films, games, and more, that tell new or unique stories that take place within the Star Wars universe. Star Wars Battlefront II helps enrich the universe by telling a previously untold story that is able to build upon what has already been established. 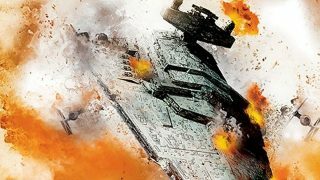 Without giving too much away, here are some of the other Star Wars stories you might want to pick up before playing to give you some extra context. The Emperor planned for many eventualities... including his own demise. Thus was born the Contingency – a secret plan hatched by Palpatine that was meant to destroy the Empire AND its enemies in the days after his death. Among the tools the Emperor built to facilitate the Contingency were Messengers, a class of droid designed to enforce the Emperor's will. 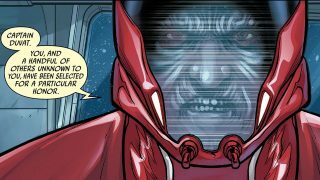 Humanoid in shape and projecting a holographic visage of Sheev Palpatine, the Messengers issued commands to key Imperial leaders intended to bring the Emperor's genocidal aims to fruition. A Messenger plays a key part in the story of Star Wars Battlefront II. The Emperor established multiple Observatories, each with a different purpose. Some housed secrets and powerful artifacts, while others had more nefarious objectives. An Imperial Observatory on Jakku played a central role in the Contingency plan, and another appears as part of Star Wars Battlefront II's single player campaign. 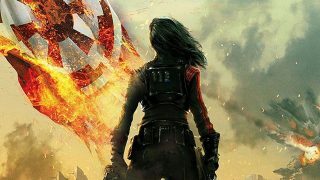 This one's pretty obvious, but to dive deeper into the backstory of Iden, Del, Hask, Admiral Versio, and the beginning of Inferno Squad, check out the prequel novelization of Iden's early career. You'll learn where she came from, find out more about her experience at the first Death Star, and learn the secret origin of Inferno Squad. Another element of the Contingency legacy is Operation: Cinder, an Imperial scheme to help ensure neither the Rebellion nor the Empire survive the Emperor's death. This included Imperial attacks on a number of worlds following the Battle of Endor, including Palpatine's home planet of Naboo. 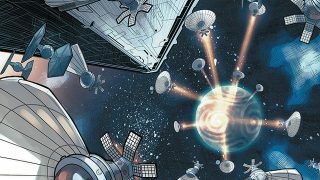 Players who want to understand more about Iden's journey may want to pick up Shattered Empire to learn about what happens in the interim between Star Wars: Return of the Jedi and The Battle of Jakku.